Virtual Dedicated Servers (virtual machines) utilize the latest in cloud computing technologies to allow multiple operating systems to operate concurrently and privately on the same physical hardware as if they were physical servers. Our data centers feature more powerful than average servers running Microsoft's virtualization platform that provides private and dedicated servers which share the same hardware resources. Since hardware resources are allocated dynamically, we are able to provide you with more resources on demand. Are the servers truly isolated? A virtual machine exists within a tightly isolated software container which runs its own operating system and behaves identically to a physical computer as if it were its own physical machine. Additionally, your virtual machines exist on completely separate private networks and therefore other devices on the same physical hardware are completely unaware of each other. Will my software applications work? Yes. Operating systems, applications, and other machines on a network do not know the difference between a virtual machine and a physical server. What are the benefits of a Virtual Dedicated Server? The pooling of resources provided by virtualization increases efficiency, utilization, and flexibility all the while helping our environment! Upgrading Resources. Resources such as processing and RAM can be allocated to you as needed. In a traditional dedicated environment, your server is directly tied to physical hardware. When you need more resources such as processing power, RAM, and disk space, it is necessary to migrate your data to a different server or shutdown and upgrade the server. With Virtual Dedicated Servers, resources can be allocated to your virtual server within seconds. Production Ready Performance. Our Virtual Dedicated Servers are powered by Microsoft's industry leading virtualization platform which provides the same performance levels as a real physical server. Eco-friendly. Virtualization saves on power, cooling, and requires far fewer devices to run the same environment with physical servers. Hardware Independence. Unlike physical servers, Virtual Machines are completely independent of the underlying hardware and therefore, a virtual machine can be moved, even while it's still running, to different physical hardware whenever maintenance and upgrades are required. Eliminate the Need to Buy New Servers. Historically, one of the major expenses within any organization's technology budget has been the replacement of hardware when more resources are required. Our Virtual Dedicated Servers eliminate these costs and you can grow without the need to buy new hardware. Application hosting refers to the practice of an Application Service Provider (ASP) providing computer-based services over a network such as the Internet. Enterprise class solutions require a great deal of resources to successfully setup, operate, and properly maintain. Some of the resources needed to host a typical server-based application include dedicated hardware, expensive licensing, Internet bandwidth, backup devices, power, and highly trained support personnel. AIHosts Application Hosting solutions provide the same benefits from the software, eliminate the need to own and operate the infrastructure to support the software, and provide a more reliable solution since they are hosted within an environment with more resources than what a typical company would be able provide itself. Add2Exchange Enterprise is a versatile sync solution useful for automatically synchronizing items between any combination of Exchange public folders and Outlook personal folders for calendars, contacts, tasks, posts/mail. You can set up a one-way sync for view only purposes or a bi-directional sync allowing users access to modify copied items. Add2Exchange is ideal for mobile device and smartphone users who need to view information contained in their Exchange public folders. Add2Exchange Enterprise also supports a unidirectional sync of your active directory global address list (GAL) for anyone interested in syncing the GAL to each of their users' personal folders for viewing on mobile devices. 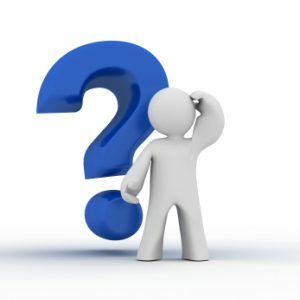 What is Hosted Add2Outlook Sync Server? Add2Outlook is a calendar and contact sync product for Hosted Exchange and Office 365 users. Add2Outlook uses a similar sync engine to Add2Exchange. Add2Outlook supports calendars, contacts, tasks, posts and also global address list sync. If you don't have a replication machine to install Add2Outlook on or if you already use Office 365 and have a Hosted Exchange service provider, we offer the Hosted Add2Outlook Sync Server. We provide a dedicated replication virtual machine (a Windows 10 box with Outlook 64 and 8 GB of RAM) and Add2Outlook will be installed and configured by one of our certified engineers.